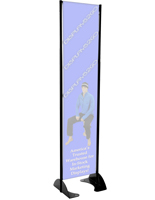 Constructed from 100% aluminum, this 24” x 72” black permanent banner stand is a highly effective outdoor mounting advertising display. 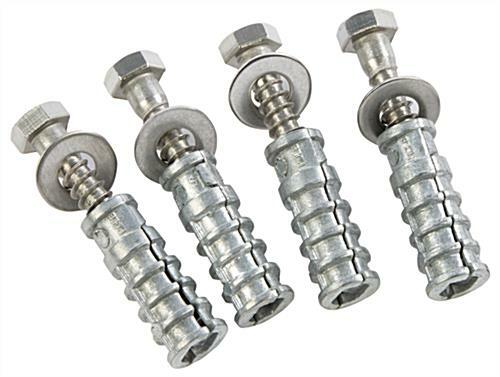 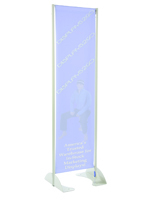 Each large format sign holder is engineered with a spring loaded tension bar which employs gravity and tension to keep a double sided custom graphic firmly in place when in use. 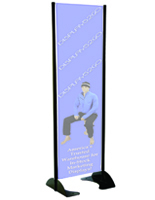 The high quality banner stand is made right here in the U.S.A with only the best grade materials allowing the signage to remain sturdy for many years to come! 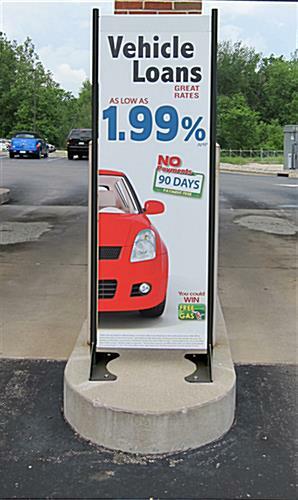 Each large format sign display features a powder coated exterior for durability in outdoor conditions with the ability to withstand up to 60 MPH winds. 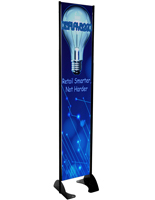 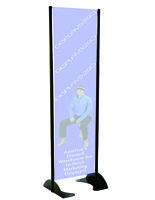 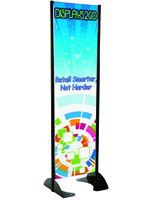 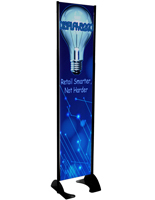 Use the banner stand to attract attention to your products by placing the unit in a high traffic area such as a banking island, parking ramp, or restaurant. 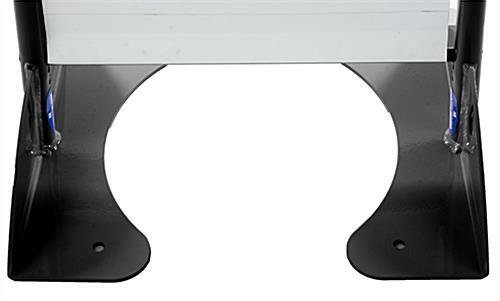 Please refer to the artwork guidelines listed on this page for instructions on how to upload your custom artwork!